Born in London, though spending much of her early years in Australia where she was an associate of The Queensland Ballet Company, Sophie gained a place at Elmhurst School in its inaugural year at Birmingham, in 2004. She subsequently won a scholarship to attend Rambert School of Ballet and Contemporary Dance where she graduated with a first class BA honours degree. 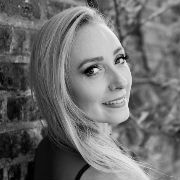 It was Sophie’s ambition to form her own company and The London Ballet Company was founded in 2010 with the aim of providing a performance platform for up and coming artists to produce original, collaborative works based on popular culture and topical events, to invigorate new audiences. Some of these original works include: An Olympic Dream, Postcard from London, Eve, 00 and His 7, The Snow Queen and Poppy. The London Ballet Company provides a diverse performance experience for its dancers who have enjoyed travel overseas to perform with pianist Maksim – China tour, Basement Jaxx – American and British tour, in theatres and for bespoke events worldwide. Now in its 6th year, Sophie has extended the education programme of T.L.B.C. to provide workshops, Easter and Summer Intensives, and a new Associate Programme giving insight into the collaborative creative process, to develop strength, nurture confidence and ensure versatility. The vital elements required to sustain a career in dance which she herself developed at Rambert School.